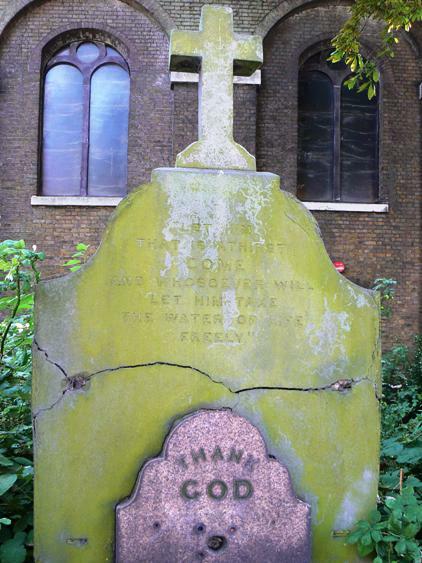 This stone stands in St Lawrence's churchyard near the water outlet in the High Street facing wall of the churchyard. It was erected in 1862 and presumably water was piped into a semi-circular bowl. See the side view and lower outlet for more details. Thanks to Dave Stoneleigh who provided this photograph, taken on June 28th 2008 during the Brentford Festival weekend. For an earlier view of the stone see Peter Young's photo of 1972.